Create a better Kinetic You! Feedback is a teaching tool for the physical arts. Inline skating, martial arts, dance, yoga, sports coaching, music instruction, public speaking coaching, personal training, choreographing, and much more. 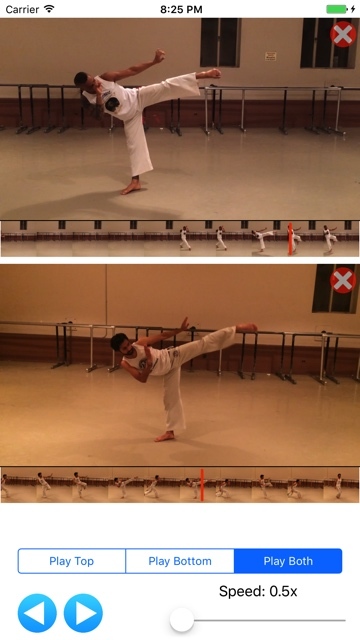 Instructors and students can send each other videos with notes. The notes themselves are marked at specific points in the video and can be text or even a drawing on a snapshot of the video. 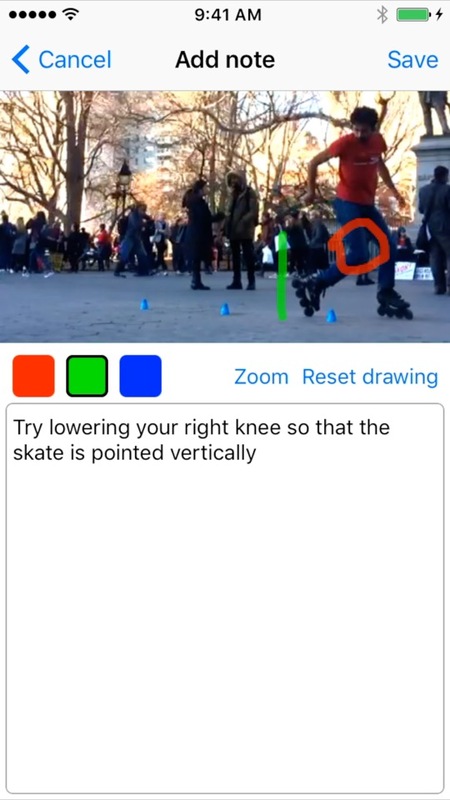 Side by Side is an app to compare videos. Load one video on top and another on bottom. With simple controls, you can easily synchronize the videos and play them back, slow or fast, forwards and backwards. Side by Side is great for those learning physical arts, including dance, martial arts, roller blading, or any other technical art. Use to see how your technique compares to that of your instructor. Or view your own progress over time. Over five years of experience with contributions to Google Docs, Google Search, Google dotOrg, and Google Ideas. Front-end, backend, mobile. From large scale systems to experimental prototypes, and everything in between. You're covered. A holistic approach to your project with expertise in UX design, Photoshop, video editing, social media, agile, and mentoring. In 2016, following an amazing five years at Google, I left my job to pursue a life that's more kinetic. Although I didn't know precisely what was next for me professionally, I understood that it would involve my aptitude for software engineering and my passion for roller blading and the physical arts. I spent the next few months embracing the kinetic lifestyle, skating at events all across the country, from practices to competitions, workshops to instructor retreats, and social meetups to film sets. Soon after, with inspiration and ideas in hand, I founded this company. Kinetic Expression LLC exists to help people achieve a kinetic life through my work in software engineering and the physical arts. If you have an exciting tech project in health, fitness, or education, I'd love to offer my expertise as a freelancer. If you're looking to improve your skating skills or showcase my style, I'll put on some wheels and moves for you. And if you're looking to help yourself or others be kinetic, check out my iPhone apps. © 2017 Kinetic Expression LLC. All Rights Reserved.